Breaking It Down Further: Aspiring actress Nikki Sands meets a charming Casanova while working her regular gig as a waitress in a restaurant in LA. Even though his date was a total dud, Nikki impressed him with her wine knowledge and hunky Derek Malveaux offers her an open position at his vineyard in Napa Valley. When Nikki agrees, she somehow ends up with more than she bargained for. She discovers not one, but two bodies in her brief stay at the vineyard, but with foul play suspected, she stays on, taking on her own Nancy Drew role to help solve the murders. Plus it doesn’t hurt that her gracious host Derek is easy on the eyes as well as polite. Now Nikki just has to try to solve the murders without getting herself hurt – or worse – becoming the final victim of the killer on the loose. A quick and cute little cozy mystery. I finished within a matter of hours and (maybe it’s the wine talking), it was quite enjoyable and entertaining. Nikki was an easily relatable character. Granted, I don’t know much about LA or California, but as a Tennessee transplant, she comes from much less glamorous roots (to sum up her words (and more harsh words of the Napa Valley residents)), she keeps it real and is far from snooty. The mystery was nice. I was actually surprised at the way things all turned out in the end. Throughout the book I kind of realized that the guy who was set up for the fall was set up (no spoiler — that one’s obvious), so I was right there along with Nikki trying to figure out who was really behind the killings. With a greedy family, we see that all of Derek’s relatives may have a motive or two, so it’s down to Nikki’s amateur detective work to figure it out. It was actually quite interesting to see how it all came together in the end, and sometimes I really get impressed with these cozies to see the creativity behind it and how they put these mysteries together. I’ve said it before and I’ll say it again – Even with cozy mysteries which I find to be a lot less serious, I could never come up with the twisting plots involved to make a real puzzler out of things! I liked the growing relationship between Nikki and Derek. Derek seems like a real stand-up guy and there are times I really questioned if he was the killer (is he?) which was a nice set up by the author. I think it’s always good when the author really makes you question who the good guys are when you think it should be so black and white. Anyway, it was really fun and a super quick read. Looking forward to more, which is always good! Maybe 3.75? I felt it was just lacking a little something — Maybe more romance? Maybe more intrigue? But I like to do only in half points, so I’ll round up to 4! 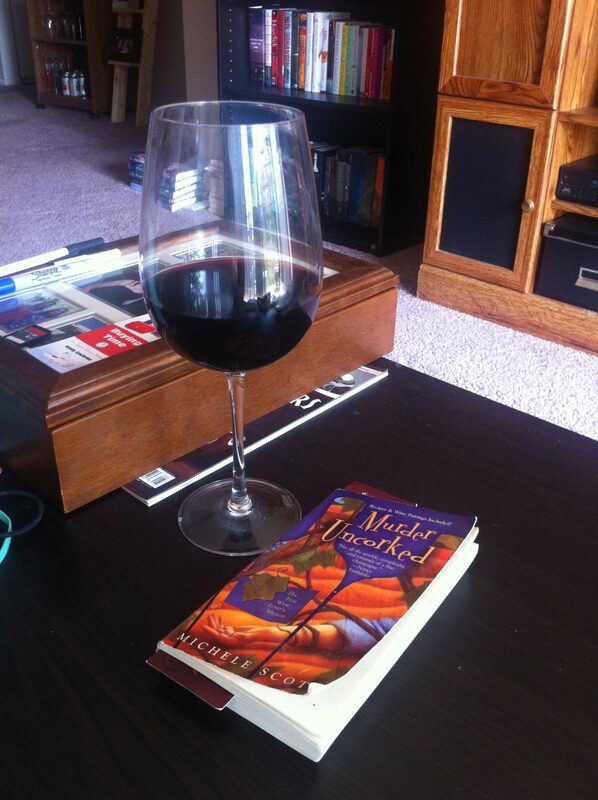 This entry was posted in Adult, Books, Cozy Mystery, Mystery/Thriller, Review and tagged Adult, Books, Cozy Mystery, Michele Scott, Murder Uncorked, Mystery/Thriller, Review, Wine Lover's Mystery on June 24, 2012 by Brittany. Hahaha! If Her Royal Spyness was up your alley, this one is right up my six-lane highway. WINE + FUN MYSTERY? It’s too good to be true!!! Hahaha I love it! That made me laugh so hard. This book now arrived for me at the library! yayyyyy!